How often do you pray with someone else? Or, do you tend to keep your prayers to yourself or maybe just submit a prayer request every now and then? In this post, we’re looking at 5 benefits of praying with a prayer partner. Keep reading to learn why you’ll want to seek out a prayer partner in your life! We need to pray for and with others, not just on our own. Prayer isn’t meant to be solitary and self-focused. Jesus wants us to pray together. As I stood up after receiving communion one Sunday morning, I turned, not to return to my seat as I always do, but to walk over to a prayer partner who is available to prayer with anyone during this part of our service. It felt awkward to walk over, not knowing how this was going to go or what I would tell her about my prayer need. Why was I being prompted to ask for prayer when I’d already been in deep prayer over this particular item? Why did I need to have someone else pray for me? I knew I was supposed to pray with her that morning, so I kept putting one foot in front of the other and walked over. I didn’t get many words out, but she prayed anyway. What struck me most about this prayer was that it forced me to stop talking and just listen. I’d been doing a lot of praying about this particular issue, but not much listening. Her prayer that morning guided me into a moment of stillness with God. The gift of the prayer partner for me that morning was to help me listen and know I wasn’t the only one praying. Praying with someone else can be instrumental for your prayers. Praying with a prayer partner can be informal, such as prayer partners during a church service or a friend in your small group or Bible study. Or, it can be a more formal prayer partner relationship – a person or small group with whom you commit to regular meetings and prayer. Sometimes we need someone else to pray on our behalf. We may not have the words to pray and need someone else to stand in the gap and pray for us. Hearing our needs prayed by someone else can help to refocus our own prayers. Jesus taught that prayer is more powerful when prayed by more than just ourselves. Praying for someone else keeps your prayers from becoming too self-focused. You spend time focused on the needs of someone else, pouring out your heart to God on their behalf. It’ll help bring your own prayers into better perspective, too. Discernment is listening to God through prayer to get an answer to a question, guidance on a decision, or clarity on God’s call for your life. Discernment needs confirmation through others. It cannot be done in isolation. So, praying with a prayer partner or a small group can help you with discernment. Forming an ongoing prayer partner relationship will create a deep connection between you. You’ll have someone to open up and share deeply with, someone to celebrate and share blessings with, someone to care for and pray over. Committing to pray with a prayer partner will provide accountability for your prayer life. You’re committing to pray for someone else and meeting with them regularly to pray. The prayer partner relationship will provide that added accountability to not skip your prayer time, but instead make it a priority. Will You Pray with a Prayer Partner? 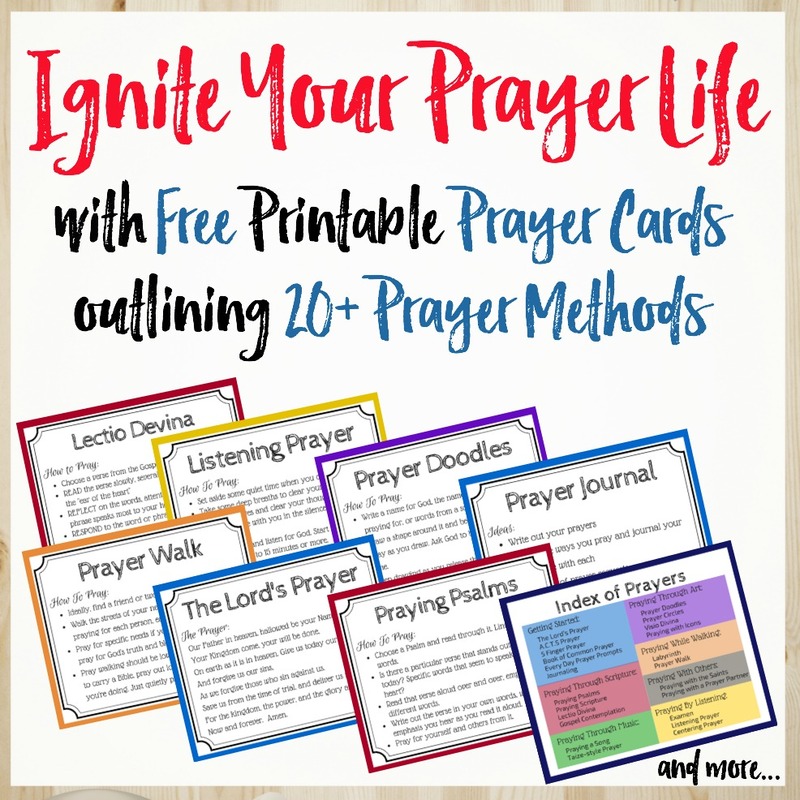 I hope you’re inspired now to trying praying with a prayer partner – whether it’s starting with an occasional prayer partner, such as a designated one at church on Sundays, or establishing a formal, ongoing prayer partner relationship. Sharing your heart and your prayers with someone else can benefit you in many ways, so I encourage you to step out of your comfort zone and give it a try. If you’re not sure how to find a prayer partner or how to get started, keep reading for tips on finding a prayer partner and entering into prayer together. Finding a prayer partner may be as simple as walking over to someone at church who’s been designated as such, or asking a close friend to pray with you. It can be a one-time prayer occasion or you can establish a prayer partner relationship for a period of time, where you commit to pray together on a regular basis. As you look for a prayer partner, seek someone who will hold your prayers in confidentiality, who is reliable and trustworthy, who is growing in his or her faith, who is willing to be vulnerable with you, and who is available and willing to pray with you. Set aside time to pray with your prayer partner. Conversational prayer may be best-suited for praying with a prayer partner. Take turns praying your requests out loud. Pray one request at a time, allowing your prayer partner to respond or add to your prayer. Keep prayers brief and give each other time to pray. As your prayer partner prays for you, just listen. Listen for God’s response through your prayer partner’s words. This prayer time is a conversation between you, your prayer partner, and God. Listen for the Holy Spirit and follow His guidance in your prayer. Do you ever pray one-on-one with someone else? Do you pray with someone designated as a prayer partner at church or do you have a prayer partner with whom you meet and pray regularly? What is your experience praying with someone else? PRAY DEEP CHALLENGE: Who can you pray with this week? Seek out a prayer partner and pray together. I had a similar experience. When I wasn’t as spiritually mature, even when I felt the need to ask for prayer at church, I wouldn’t and in a sense I was even afraid to. There was always that little devil on my shoulder whispering, “You don’t know these people. How can you trust them with your heart?”, but the more I sought GOD and became comfortable in HIS PRESENCE all of the fears went away. And I have since learned and experienced the true power of having a prayer partner. That’s what set the fire in my heart to start a prayer ministry. Just wanting to offer others that same love, peace, grace, and comfort. Have to admit, I’m still hesitant to ask for personal prayer. In fact, this may be the hardest of these prayer methods for me personally. Definitely one to work on, although I’m finding such joy in praying for and with others. Kathryn, I have found your work to be so encouraging. However, prayer is a weakness of mine; so much so that it is embarrassing. My lack of prayer and is keeping me from building the relationship with God that I desire to have. How do I learn to pray and study God’s word so that is becomes second nature to me. Thank you in advance for your time and response. This is good. I like the little card you made for guidance. That is helpful. I’m part of a weekly community group, and every other week, just the ladies meet, and we pray for each other. There’s usually about five of us. It is the sweetest time, and I have seen so many of those prayers answered. What a wonderful community! I cherish my life group – a group of women who week most weeks to study and pray together. They are so dear to me – and I love seeing God work through these women and through our prayers. Kathryn, I had a prayer partner whom I prayed with each & every day for years. We would settle our children for naps & spend time sharing & praying over the phone. There is something to be said for consistent, or perhaps, persistent prayer. Praying with one heart & in one accord has been such a blessing in my life. That sounds wonderful! I bet that was so helpful especially in those baby years. I have found it’s a beautiful thing to share a prayer with someone. It’s a powerful experience. God always shows up. It can be humbling to allow someone else to pray for you. But that’s a good thing.